Update: the app has been pulled from the Play Store, presumably because of the "Chrome" name. You can now find it under the name ARChon Packager. 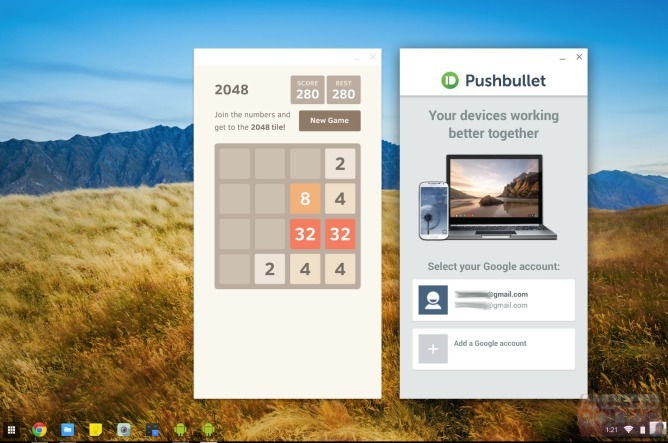 Earlier this month, Google officially made it possible to run a handful of Android apps on Chrome OS. 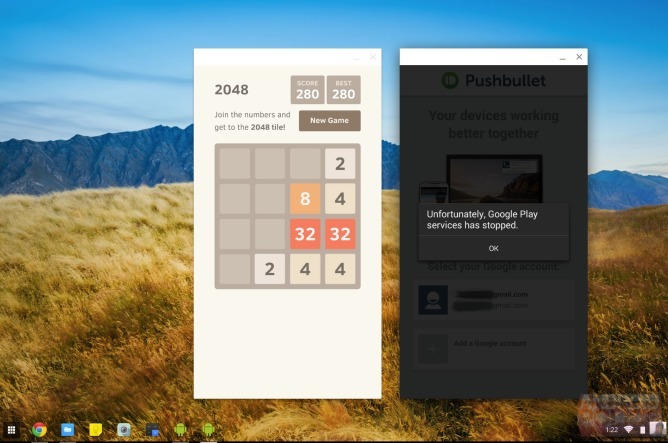 Hardly a week later, a developer came along and produced a means of running theoretically any Android app within Chrome on Windows, Mac, and Linux (including Chromebooks). However, the instructions were somewhat intimidating, so then someone else came along and produced an Android app that can take care of those bits for you. The app is called Chrome APK Packager, and while it's currently still in alpha and as ugly as you would expect, it delivers on its promise of taking any of your installed apps and turning them into usable Chrome extensions. All you have to do is fire up the app, select from your list the software you wish to bring to Chrome, and hit the generate button. Update 9/26/14: The app, which has now graduated from alpha to beta status, was just published in the Play Store for easier installation and future updates. Then you copy the resulting zip file over to your Chrome-running machine of choice, unpack it, and load the folder as an unpacked extension. The app will appear alongside your others, though it won't have its own spiffy icon. As you can see on my Chromebook, each one will use the Android robot as its logo in both the app tray and the shelf (to fix this, go to the app's folder and replace icon.png with another one of your choice). As long as you have the ARChon Custom Runtime installed, the apps should fire up just as any native Chrome one would. But be sure not to load something up that relies on Google services, because it's bound to crash. As I said before, this is alpha software, so don't go into this expecting a rock solid experience. There are bound to be bumps along the way as you work to figure out which apps will run without a hitch and function well without Android's virtual buttons. But if you're raring to get started, first head over to GitHub and download the ARChon Custom Runtime. Then download the Chrome APK Packager app from this XDA Developers page. Feel free to check out our original post on the ARChon hack if you need additional information.